Church Windows Software Reviews Recently Reviewed! Pros: The Customer support is one of the best selling points of this program - professional, helpful, patient, and prompt in their replies. In regards to the program it is great how the system for Members, Donations, and Accounting are woven together, there is the ability in detail to establish security settings, and the system creates a trail for every action. For Accounting the system is robust for Fund accounting and provides a number of reports with the click of a button. 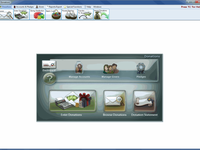 We are glad to see the most recent overhaul to the software that has made significant improvements to the program. Cons: The online mobile version is cost prohibitive for a small and medium sized congregations limiting its value for less centralized congregations and use in the mission field. Though the report creation tool is powerful, it is complicated to the point of needing to relearn how to create new reports each time one is needed (a definite time sink limiting the ability to readily create new reports). At times search results are baffling in that they do not appear to generate the full data one had requested. The interface between the Donations Module and Membership Module has the ability to create duplicates of people in which an individual's information is spread over two profiles. Lastly we have never found a meaningful use for the Scheduler Module as it is a self-contained module that can't be utilized to automatically populate online calendars or sync with other devices. Overall: We are a small, small town congregation. We use the program for all our membership and financial records of the church. In general we have had a positive experience with the Church Windows program and helpline. Thank you for taking the time out of your day to submit a review of Church Windows Software. Your input is truly appreciated and helps make Church Windows better software. Pros: I appreciate that this software helps us to keep track of our membership and visitors both, gives us a central repository for their details and helps us to track attendance trends. Where there are options to customize some of the fields that appear in the main panel for each individual person is helpful as I was able to reorder per our interests and remove from view fields that aren't important. That I could add more tags than just Member and Visitor has helped to keep a better distinction between former and inactive members as well as visitors who are 'friends of the church' (i.e. frequent attendees) versus our more occassional or one time visitors. We upgraded a few months ago to Version 21.18.1 - I like that the newer version has a more modern look and feel than the older version we had, and maneuvers around better. -Address entry is more steps than should be necessary, and there's no way to label addresses, such as for members who only reside in the area part of the year but provide their off-season address to us as well. -Rather than having to hunt through tabs on an individual's record, could the interface go to more of a central screen that scrolls through fields so you don't have to switch between sections so much? -I wish there was a way in Attendance Entry to have either (or both): A. Member names bold face and visitor names not so that it is easier to pick out your members when your list of names is large B. a feature where you can temporarily hide other categories of people to make the list of names shorter. -I have had to learn the hard way through experience to enter any visitor info for a service before I do Attendance Entry because if you stop to add a name mid-way through inputting attendance, you have to close out and bring the attendance back up again to see the new name. Could this be fixed? -When you export reports to Excel, there are way too many tiny or semi-merged columns to be able to do a proper sort function without having to basically deconstruct the report before you can work with it. There should be an option for report export that is just raw data with minimal formatting that would make this easier to work with. Overall: Church Windows is a good general record keeping software for a church. We don't use some of the features (like class attendance) but those features that we use have helped us. Pros: Ease of extracting information from the data to create reports. The number of boxes where details may be entered is excellent - every possible situation has been considered, including winter or out-of-town school addresses plus different last names for individuals within the family unit plus multi-level phone numbers and emails. Cons: I love to have the support of the software by speaking with a real person. My patience challenges me at times to wait for the phone call back! Overall: I am very pleased with the software. It takes awhile to become familiar with the software and how it works but now that I am comfortable I am most pleased that I can produce so many reports. I am sometimes frustrated that I don't have enough data from members of the congregation or ministers to produce more detailed and comprehensive reports. The creation and development of them is sound. The support staff is excellent in solving problems and being friendly and supportive. They respond in a timely manner. 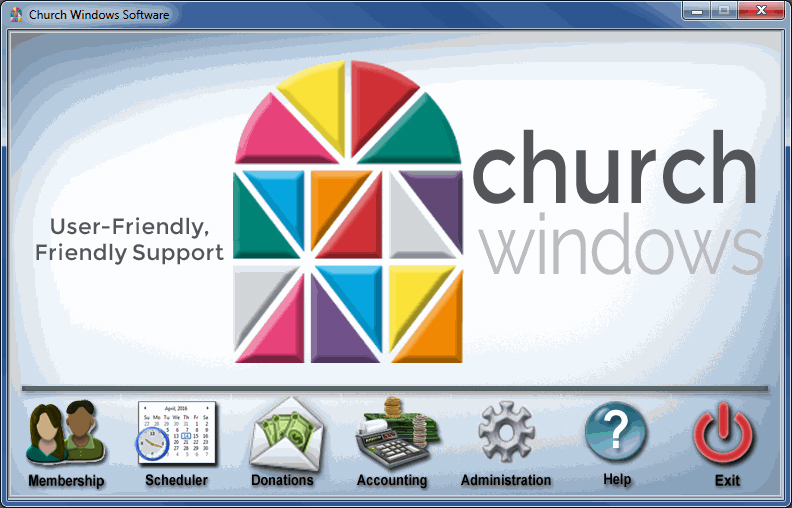 Pros: I liked the software so much at my church job that when asked to "help" with the membership and receivables at the church I am a member of, I gladly accepted ... with one condition: that they purchase and use CWindows! The software is so easy to use, across the board, that I knew anybody would be able to come in behind me and learn it as quickly as I did. Cons: The latest update was more of a complete rewrite. I lost a good bunch of data in this update, too. I've had to re-key alot of that lost data, some of which I was unable to retrieve. I'm still learning what the new update is capable of doing. It's almost like I'm having to learn a whole new program. I feel very inadequate at times when I'm in the program now. Overall: CWindows has been most beneficial with membership, donations and payroll for me. I hardly ever have a church member find an issue with their Giving Statement, and that says alot about the software. The revamped membership module has integrated members & visitors so much so that keying in data is a breeze. And I doubt that I'd be doing payroll if it weren't for Church Windows. Seriously, ya'll are the reason I wear so many hats over here! You should not have lost any data as part of an upgrade process, we apologize. If you experience data loss after installing and update for Church Windows, please contact us. Pros: I love that support is always prompt and responsive. Any time there is an issue, they are willing to help as quick as they can and they are always very kind and informative. I like that only one user may be logged in at a time to prevent duplicate or missing information. That is smart and helpful in our Presbytery! I love the tax reporting feature in the Payroll Module. It is easy and efficient! Cons: I do not like how slow the software is, especially now that we access it through remote desktop. All the screens are slower and printing is excruciatingly slow. I wish you didn't have to hit the print button so many times on so many different screens before your report or confirmation actually prints. I feel like the software is difficult to learn. You guys do a great job making webinars and help materials available, which is great. But unless someone is trained on how to do things, I don't feel like the software is very intuitive or user friendly. I don't feel like an average AR/AP person could navigate through the system and figure things out without guidance/training. Overall: Overall, not a bad experience and the wonderful customer service/support really makes up for other inefficiencies. 3.5 out of 5 stars overall. Pros: To be honest, the customer support. From the moment someone answers the phone until someone calls you back, the professionalism and friendliness is unmatched. I always feel like I am calling a friend who is knowledgeable about the software. At first I struggled to comprehend some of the aspects of the software because I do not come from an accounting background. It did take me some time to feel comfortable with what I was doing but once I was I no longer had fear that I would "screw" something up. Cons: I wish some of the techs would tone down the accounting terminology when trying to explain things to me. Like I said I didn't come from an accounting background so the lingo was somewhat foreign and I felt lost when they would explain things to me. The software seems to be continuously updated which if I had the time to explore some of the new upgrades I believe I would be able to utilize them. Not sure if you have this or not, but a video explaining some of the new features that accompany an update would be nice. Overall: The best part is the payroll and the taxes. We originally were using QuickBooks and trying to "tweek" it to work. CW takes a lot of the guessing and headache out of the payroll differences in a church setting. Pros: I've been using Church Windows since 1999. I currently use the Membership, Contribution and Accounting modules. They've come a long in the last 19 years and they are constantly upgrading their software as the market demands. Over the years they continue to solicit, and implement, suggestions from their customers. It's one thing to sell a product, but its another thing entirely to keep folks satisfied with your product for almost 20 years! Cons: Probably the reports features, but that is mostly due to my reluctance to try creating custom-made reports. Its one of those things that you get out of it what you put into it - so no fault to Church Windows, just me. Overall: Most folk who work or serve as lay leaders in a church have an clear understanding of the business end of things. 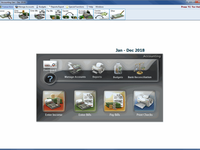 Because Church Windows software is specifically tailored for churches, it enables me to report information in a manner that is easily understood over a broad spectrum of skill levels. They offer tutorials for all their modules and their customer service is second to none. Its a very rare thing to not receive a call back the same day I place a support call. Their staff are courteous, knowledgeable, and well trained. Over the last 19 years I have recommended Church Windows many, many times and will continue to do so in the future! Pros: You can do so much with the Church Windows software. It is a great way to keep track of membership and visitors. Keep track of offering and printing reports are pretty easy to do. Customer support always returns call quickly but with work with you as long as you need. I'm a secretary at 2 Lutheran churches. The both have Church Windows. One use it for every thing. The other just uses the donation and accounting. The second church is hard to get things done and organized since they don't use the full scope of Church Windows. I think I have them talked in to using it more. Church Windows makes my job so much easier! Cons: The most trouble I have had with church windows is all the updates. The software is easy to use until they start updating the software. The seem to take something that work good and makes it more difficult to use. I'm sure that it works for the large or mega church but us little church just need simple software. Maybe they need a software for large or mega churches and another for small churches. Overall: I LOVE Church Window software!! I have been using it for 15 years and every church should be using it. Pros: The service received. Have always received great help when I call even if it is a dumb question I am never made to feel that it is. Never have to wait long times for call backs. The Webinars are great and give instructions that are simple and easy to understand and you can get feedback during the sessions. Cons: We do not use the accounting part and would like to see software that is simple math in adding and subtracting. We are a small church and all of our help is volunteer so we do not have an Accountant on payroll, just those that give of their time. So a software program that would allow us to enter donations, pledges, etc., and then be able to substract payments, and distributions would be awesome. Overall: Our overall experience with Church Windows is great. We are able to keep track of our donations, pledges, great files for tracking membership and the information we need to update for emergency information and family information. Definitely a great tool for tracking our members and visitors donations and supplying them with their year-end reports for tax purposes. There are so many other services that we are offered but have not tapped into yet. Very pleased with Church Windows. Pros: Our church has used Church Windows for many years. It seamlessly tracks people, giving, accounting, and payroll. Each module can be used by itself, or integrated to all work together. The support people are fantastic--friendly, patient, and easy to understand. Training is readily available through online video tutorials, brief online training sessions, workbooks, and the program help feature. The user-friendly software is great for beginners, offers many features for seasoned users, and versatile enough for church volunteers and employees alike. Cons: Nothing. I love everything about Church Windows! Overall: Church Windows has helped our church operations in so many ways. The reporting and budgeting options in Accounting have been especially helpful in financial planning and oversight. The payroll module simplifies all things related to payroll (direct deposit, taxes, W-2s, etc). Giving statements are easy to produce, as well as giving reports. People tracking is always a challenge, and the Membership module does so much to help. The support is fantastic, they know the program, and many of them also serve in their local church. Overall, Church Windows is an outstanding product! Pros: It is user friendly for someone who is not a trained accountant or bookkeeper. Allows me to print professional appearing reports that are easily distributed to committees. The reports provide the information needed for various finance committees. Stored history in the various modules is helpful when I need to recall various transactions or help a committee remember a particular vendor or reason for an expense. Reports in the donations module are helpful during our stewardship campaign to track pledges and donations and compare them to previous years. Cons: I do not like the most recent version of Membership! I think the previous version was much easier to read and edit. The result is that I use membership much less frequently. I also used to use it sending email blasts to our congregation but now use Mail Chimp instead. Overall: It allows a small congregation to maintain payroll and accounting records without the added expense of hiring an accountant. I have always found the support team to be helpful and responsive. The free webinars are also very useful - particularly the ones designed for year-end procedures! Pros: I work mostly the the Accounting and I love the Flexibility. You can change entries, work in a current month without closing out the prior month and I find it user friendly. (see below for a colleague's opposite view re: membership.) LOVE THE CUSTOMER SERVICE. Seriously, I could not have learned this program without them. The very best, smart, patient. Great folks. Cons: Accounting: 1. the A/R module is a bit odd. You can't reprint invoices after they're paid for example. It seems a bit less thought through than the rest of accounting, perhaps because it's an add-on. 2. There should be better interface between the modules. For example, when you change an address in Membership or Payroll it doesn't change in any other module. 3. My colleague reports that Membership a. had a steep learning curve and b. is not "user friendly" in her opinion. Overall: Good, great, love it. Someone at the church recently wanted to change b/c they don't feel the membership database is up to snuff but I was very vocal that I really like the accounting module, and I have worked with MANY accounting programs. Church Windows is all you need! Pros: I've used CW for 15 years and what I enjoy most is that it does it all and it's easy to learn. There's no need for other software packages or worrying whether it's compatible with or will interface with other software. It handles everything a church needs from accounting, payroll, donations and membership. Knowing you can trust the data that's shared within the modules is key. It keeps up with payroll tax changes and reporting and their customer support is the best! I currently use the web version, but for many years I had the desktop and both work equally well. Cons: I've never been a huge fan of report writers, but it really is the best way to give every customer what they need. The reports they originally offered were all we needed and more. Overall: The biggest advantage for both churches where I've used CW has to be the all encompassing package. We never needed a separate spreadsheet for payroll or Quickbooks for accounting and then worried whether the data reported was accurate. With the complete package, we can trust the integrity of the data. Pros: It keeps everything flowing smoothly between modules so that everything is in one place and not fragmented. The church was using two or three different methods of keeping track of things prior to my setting up Church Windows. Cons: It's a pretty good software program however since they have been changing it the Membership module is very cumbersome. Hard to follow. Not really user friendly at all. The person in our office that has to maintain this is very ready for a change. The reporting could be a lot more efficient. Now, if I want to see what is happening in a fund I basically have to look three places (four if the money is coming through the donations module) to be able to piece it together. This is not different with the changes but has always been a bit more cumbersome when someone asks for the activity in detail for a fund for the year. It is really mostly the membership module that is causing us to rethink whether or not this program still works for us, though. Overall: The customer support is great and that's important. Pros: The Customer Support! Although the software is very user friendly everyone needs help. The customer support, webinars and training offered cannot be beat! I've take classes on site, through the webinars and have spent hours on the phone being instructed on how to do tasks, and have always felt comfortable at the end of the day. We use all the modules offered. Cons: Occasionally there is a delay in getting a call back from the Customer Support group, but I know it's because they are helping someone else conquer a problem as thoroughly as they will help me solve mine! Overall: We use the Membership module for tracking our membership, attendance and creating a church directory. We use the donation module for pledges and contributions, the accounting module for all our bill pay and reporting of the church finances, and payroll to do payroll and file our taxes. I have not yet brought Scheduler into play as we are relatively new in our building, but have used it in the past with great success. All modules are current, and bug-free. Installation of updates is quick and easy, even with multiple workstations. Pros: I liked being able to purchase a denominational specific version of the software. The updates address issues that are relevant to the ease of using the product. Call back time for telephone support is excellent. There is definitely a learning curve for the product; however, there are multiple ways available to assist with that such as the short live tutorials each month that last approximately 20 minutes and then are available to view at your discretion. Cons: There are times when I find it difficult to discern how to word my search question in the Help section to find the answer that I am needing. I would also like to be able to even further tailor my reports. Overall: The church where I work has been excited to be able to view financial statements that are so much easier to understand than what they had been previously using. Yes, I can give them the same reams of data that they had been trying to wade through, but I can also condense that down where they can just ask questions about a specific area if needed. Pros: Customer Service is amazing. I never have to wait on hold and they call back fairly quickly with a knowledgeable rep. Everyone I have spoken to has been extremely helpful and kind. Cons: Having used software like Quickbooks my entire career, I am used to Intuit's ease of use. Pulling up the check register and being able to click right to the transaction. Church Windows is great and I can find everything I need and print any kind of report I would need but it's not quite as user friendly as I would like. I also don't like that payroll is in a separate icon and not built into the other modules. Overall: Overall, Church Windows is a great software and I could never say enough about the wonderful customer service. I can easily track day to day transactions and report to our Vestry board on a monthly basis. As we all know, churches run on budgets so it is important to be as accurate as possible every month to make sure we stay within the budget. Church Windows has been instrumental in showing us where we need to make cuts and where we can afford to grow. Pros: I am so grateful for a program that is easy to set up, easy to navigate, and easy on brain power. I was using another program that caused me daily frustration and I hated to even open the program. When we switched it was like a mental vacation. I like the 20 minutes webinars that allow us to get training to refresher courses or that give us training prior to changes. Cons: I'm not sure how to get the online help that I need which occurred when You Tube became the source. I have not had time to investigate how to navigate. I'm sure that once I have time to investigate it will be simple as the rest of the procedures. Overall: I feel more comfortable starting my work day as I know that it will make sense. I appreciate the online support and the quick responses that we receive which are easy to work through. I wish we had discovered this software much earlier. I appreciate that it is affordable for small churches and that we don't have to struggle with poorly written programs because that is all our budget can handle. Pros: I think the contribution area is the best. It gives an accurate and easy account of what my parishioners have contributed. It is easy to locate any area that I may have questions about. The online and telephone help is extremely necessary and most of the people I have spoken with have been very patient and explained how and why it was necessary to do something in the program. Cons: I think setting up the fund accounts was the most difficult. I did not begin this program I am inherited it when I took this position. The fund accounts were difficult to learn how to set up but I have been using this program for 18 years now. Trying to teach someone else to use this program may be a little more difficult unless they have used an accounting program before. Overall: Keeping track not only of the churches bookkeeping but keeping up with what the Trustees are handling also. It gives the Finance committee a quick look at what is being done or not done so it can be addressed quickly. Pros: The continuous updates and support of the Church Windows staff. I find the accounting side much easier to make corrections than the older version. I find the set-up of campaigns easier in in the donation version. Cons: Donations. I find the new donations module very cumbersome, especially in entering batches. In Accounting it is one thing to edit an expense and have it drop to the bottom of the batch but in donations, to add a comment or make a correction and have it drop to the bottom of the batch means you have to pull the check and place it at the bottom if you want to keep things in order. It would be easier if you could make a correction and have it hold its place. In membership I find it more cumbersome to use the label section and the layout of the membership screen is hard to read. Overall the updates have made it less user friendly. Overall: Overall we have been very pleased with Church Windows software and especially the help staff. The software switch was more than worth the effort! Pros: You are able to look up a single entry with a search! If you have to correct an entry the software will correct with a new journal entry so everything is above board for your audits. You can write a report of almost any information in the system not just "canned" reports! You have a choice of entering people and Members or Visitors and can produce lists and labels for either or. The report writing is easy to use and you don't have to be a programmer to create your own reports! Easy Look-ups for people, one click to choose, search for first or last names, saves a zillion clicks over the other software I was using. Cons: Exported reports only come up easily for Microsoft Excel. Not so handy when you use WordPerfect or OpenOffice. Overall: Time saved in data entry, even with the learning curve of new software has been huge. Easy to follow menus. We changed software for several reasons. On the old software there was no way to customize reporting for anything in the General Ledger, searches for data or people were very limited, inflexible forms such as Statement format, and because of expense of the old software monthly. With Church Windows I have received prompt customer service when needed, sped up my data entry, and now have the ability to get the reports my Vestry has been asking for. Thank you Church Windows! Pros: This software is easy to maneuver through. It is very basic and handles all the needs of our fund accounting. Cons: There are some things that I feel could be added to help the user. The ability to "close" each month so that no transactions can be accidentally be entered into previous months. The search feature in the Membership portion is not user friendly also. I think warning features for using the same Invoice number, Check number and other important header items should be put into place. Reporting is fine if the reports you want are already set up but the methods are very cumbersome to try and create new reports. Overall: It is has been a good experience in the last 3 years I have used it. Coming from other business accounting software has helped me to understand and navigate the system. It has also helped me to see where improvements can be made in the Church Windows software. Overall Church windows does handle the needs of this church as far as accounting and membership are concerned. 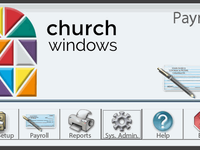 Pros: This software has helped us tremendously with the day to day accounting at the church. I love that the Payroll module fits seamlessly with the Accounting Module. No more multiple spreadsheets to do end of month financial reporting. Church Windows has all the information in one place. Payroll taxes are a breeze as well as the report in Payroll lets you know how much to pay and the funds in Accounting are automatically populated to draw from. Cons: We no longer use Church Windows as our database for people, as it is not the type of software that all of the congregation can use. We use Church Community Builder for people, donations & scheduling. I insisted we keep Church Windows for Income & Expenses as it handles those so well, especially for someone who isn't an accountant. Overall: The people who help with questions/problems have been wonderful. I truly appreciate their timeliness and succinct answers to my questions. Pros: The best feature about Church Windows is it's many options. There are separate modules for Membership, Donations and Accounting, also Payroll. Yet they all talk to one another, so there is no need for double entries. It is a huge timesaver and allows for reports that span more than one module. Cons: Having more than one module can open up the possibility for issues when sharing information, and occasionally that happens. But I have always been pleasantly surprised with Church Windows in their ability to get patches out to fix any little issues that arise, often before it has even been an issue for our organization. I can honestly say that when you do have to call in with an issue, they have the best customer service I have ever experienced. Overall: As we continue to be paperless, having reports that can be generated and shared through email directly through Church Windows is a great time saver. Pros: This software is very functional. Then various modules work together so the same data does not have to be entered multiple times. It is also easy to use and provides great reporting for board meetings and other financial reviews. Cons: Probably the icons. They are rather cartoonish and not real professional in appearance, although, that is common in the software industry today. Overall: Church Windows provides us with great accountability. Not only does it manage our accounting, but it provides us with clear and understandable accountability as to the churches' handling of the finances. Some other financial software is very difficult to understand and the reports require some accounting knowledge to read and understand. With Church Windows, everyone on our board and anyone who we desire to be accountable to can easily read and understand the reports generated by the software without any accounting knowledge at all. This is key to good financial stewardship. Cons: Difficulty in setting up the directory print options-- it seems like programing and It can be frustrating finding the right template or just plain setting one up. Too many updates.. Overall: We really like the program. It helps us with membership options, stewardship mailings, label printing for holiday mailings. Very helpful with financials, donations, paying bills etc. Everyone can log into the server from home and do their perspective tasks and still maintain security . Customer services is great too for those challenging moments! Pros: Software for the most part is pretty good. I have used the old version and now the newest version so I'm still learning. It was a smooth transition but there are clearly more steps involved to do some of the same things you could do in the older version much quicker and smoother. Cons: It would have to be the time it takes to do the simplest things like printing the reports. You have to go through several key strokes before you can print. This is just a small sample of what I don't like. The other thing is our church has had to go outside of church windows to come up with different ways of taking care of our membership. The membership module doesn't seem to reach out to the up and coming church and its communication with its congregation. Overall: It is still a good program for accounting, payroll and donations(still working on this one). Pros: It is very user friendly. We have had the membership and donations modules for about 9 years and added the accounting and payroll modules within the last 2 years. Within that time period, our treasurer decided to retire. The church combined the administrative assistant roll and the treasurer roll - in part due to the fact that the Church Windows system gives us all that we need. The support staff is very helpful which has been a blessing going from Quick Books to the Church Windows system. I also really like the 20 minute education sessions. It really helps. Cons: There really isn't anything that we don't like. We've streamlined our reports from 10 pages to 4 or 5. Overall: We have been able to combine the secretary and treasurer positions in our church, which has netting a savings of several thousand dollars. Church Windows Software is a Great Value! Pros: The basic functions are fairly easy to use. You can learn as you go without any major issues. They offer "coffee break" sessions monthly on more advanced uses of the software. Their customer support is outstanding. They respond fairly quickly when a request for help is made. The end of the year is their busiest time for support, but they will let you know how long it will be before a tech will be able to assist you. Cons: In our busy office it is hard for me to keep up on the updates. If the latest update is not available on the main part of the website, they will create a link for me to go to the update that I need to catch up on all the updates. Overall: I have had a very positive experience with this software and the developer. I have used similar software in the past, but I prefer this software overall. Pros: the many fields holding specific information on individuals that are very useful when extracting data for specific purposes... thus the reports are very beneficial in helping me help the pastor and various committees. also, i rarely use the email feature within reports because 9x out of 10, the send report log would show many not delivered due to error. Overall: There are many benefits to utilizing all the reports have to offer for multi-purposes.... but the user must maintain the database to get the most benefit. Every staff person I have encountered has always been kind, pleasant, knowledgable and helpful. We might have some recommendations that might help ensure the emails are all send successfully. Please call us if you have questions. Pros: It seems to be very thorough and you can find just about any information in it in one place or another. Cons: I do not think it is user friendly anymore. Generating reports/labels used to be so much easier, but with upgrades and changes over the past few years, it has been progressively LESS user friendly. Overall: I have used this software since 2003. I have never used another church software, so I do not know if I can give a great review having nothing to compare it to. I do find that with the changes that have come in the last 2-3 years, it is less and less user friendly to use. I just never understand the constant need to change things that seemed to work great before... particularly generating labels/reports. I do like that there are different modules in one software and it all works seamlessly together, including Payroll. Maybe other software does this as well, but Church Windows has that down pat. Pros: There are actually many things to like about this software: the transparency that each transaction creates, the numerous reports and groups that can be generated, the helpful webinars and the online support center. 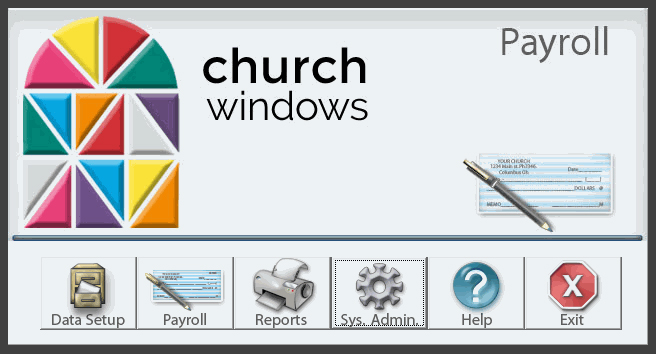 Cons: Church Windows is a "true accounting" software. If a person does not have a more-than-basic knowledge of accounting, the set up and use of the software is definitely a challenge. Thankfully, the support team is ready to answer any question. It would be helpful if the software offered a "test of transaction" option for audit purposes. Overall: It was most important to us to find a software that linked Contributions to Accounting; Church Windows does that seamlessly. The other modules that are offered are a bonus! 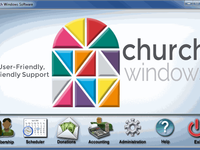 Church Windows offers the best accounting program that is geared specifically toward churches. Pros: Since I have been working with CW for about 14 years now, I'm comfortable with it, and I know where to find things pretty quickly. It makes sense to me. Cons: Some of the recent changes in formatting of the modules has presented lots of challenges after being used to where things were before. It feels very cumbersome, and since I'm usually trying to get things done as quickly as possible, because of everything else I do, having to stop and figure new things out is not pleasant. I just don't have the time to spend going through all the menus and possibilities. Many times I have to just call support and have them help me create what I need at the moment! Overall: I like having ALL the modules which allows me to accomplish management of the church in all areas, and I only have to keep one database updated. Pros: Mostly, it is ok to use. See cons. It is fund accounting oriented. The reports are good. Cons: I dislike in a big way, the way financials are down loaded in Excel. Way too many columns and lines. Too many merged cells. This has been a huge thing with me. Way too much work to make changes and in my case a presentable statement to my trustees. Quick Books down loads statements without all that merging and lines. I find the paying of bills somewhat confusing. There are times it will not let me go back to add a description or something I may have missed. I don't find it user friendly in this regard. I get bills to pay that I thought were paid. It just doesn't seem to beas easy as it should. The system does not let me back up to a previous screen to make a changes. Pros: I like how it is broken down into categories, ie; payroll, members, pay bills, bank reconciliation. I can go directly to the area I need to work on. I really appreciate the monthly classes you can sign up for. This is how I was able to train myself on the Church Window software. And now that there are video classes I can go to them at my convenience and need. Cons: When trying to run members reports I do not like how you need to select a item, then put 'and / 'or' and go select another item. It is a bit confusing and tedious for me. Setting up the layout of statements has been challenging for me. Overall: The software definitely needs to be learned via classes, videos. It is not a user friendly teach yourself as you go along, But it is packed with things that can be done. Pros: This software is user friendly, easy to explain and easy to manipulate. You can allow multiple users but can control who has access to what files you choose. Very useful when preparing reports for end of year and statistical reports for conference and district use. The payroll module is the best. It does all the work for you in tax tables. Cons: I wish the user had better ability to manipulate the membership section of the software. It has definitely improved since I started using this ten years ago. Overall: I highly recommend this software. It is easy for those who are not familiar with church reporting or IRS guidelines. For those who have been reporting for years, you will LOVE IT!! I have recommended this to other churches in my conference and I know some who now have it and love using it too. Could not live without it! Pros: I like the accounting module since that is what I use the most. I also like the membership directory portion that you can print out with specific information such as deacon code. Makes it easy to give to each deacon. Cons: If you are a new user to an area such as membership, it's hard to figure things out on your own. But thankfully in the office here more than one person uses each area so they can ask questions to us and we can direct them. Overall: Every single time I have ever called your offices, I get a call back within a few hours - often times sooner. And every person I have ever spoke with is knowledgeable and can answer my questions in a way that I understand where I made an error. We pay for remote access, so worth it! Nice to know CW staff will remotely get on and see exactly what I am talking about and make the "fix". Pros: I like the fact that everything is linked and I can do everything from attendance to payroll. I also like that it is continually being updated and problems fixed. Customer support is wonderful. I usually contact them through email and they respond quickly. When I've called them on the phone, that goes well also. They will even take a copy of our data and find the fix for those problems that I just can't explain to them. Cons: Whenever there is a major program change, it takes a little time to figure out how to find some of the things that are so automatic to use. But even that doesn't take a lot of effort to figure out. The changes have been pretty seamless, but there is always that learning curve. Pros: I like the Button Access. I like the Reconciliation for Bank Accts it's quick & having a Charge journal entry tab to use for balancing if needed. Cons: I don't like all the tabs on reports (Donations) & all the choices on each tab. If I want to just run a quick report I have to go thru each to be sure I have the correct info. Same for Statement building. Find it's more complicated then what we need. In Finance Subtotal & Custom Groups is still confusing & I have used this for years. Going into Browse to a correct an entry posted in Finance does not always correct the entry & I have had to get further instruction on how to finalize the correction. I wish there was one less entry to do when Entering & Paying bills. Pros: Customer Service and ease of remote access. Cons: They way you build reports should be simplified. It seems like you have to rename each report. It gets confusing for some of the people your working with. It would be nice to have a 3-5 day hands on training secession at least once or twice a year in a central location in or around Arkansas. It would make it easier to learn for those of us whom have busy offices with lots of distractions interfering with the webinars and going online afterwards and not being able to ask questions. Overall: Payroll is the most user friendly and I am still learning new things on all of the other parts of CW. Overall I believe you all are doing a good job and am impressed with the willingness to hear feedback and working improvements from it. Pros: Well, since I have been using this software for more than fifteen years, I have to say that the quality of service is great. 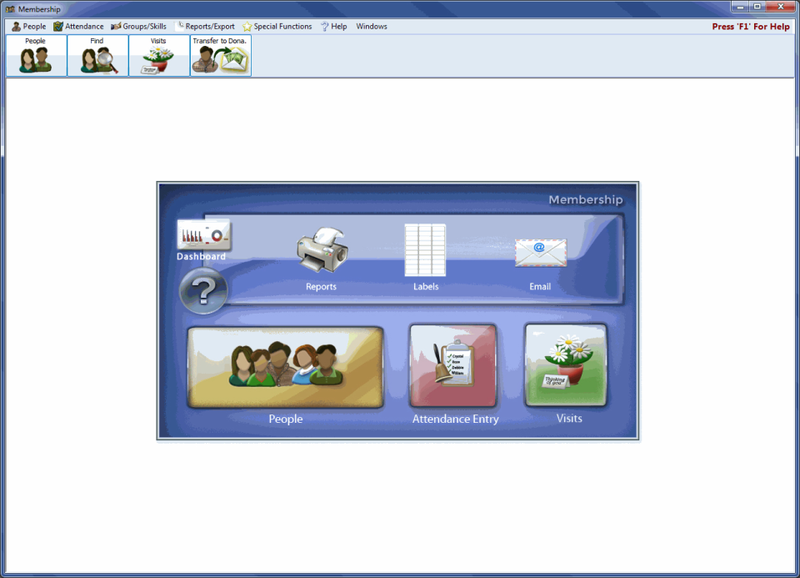 The software for Methodist Churches is just what I have needed and they are great with updates. The online training is also a good tool. Because of my age, I think I like the same old stuff but I still like the updates and know why they are needed. Cons: I still don't like the form/report builder. Probably someone with graphics background loves this and I am able to build the forms/reports like I need them but I liked the old forms/reports just fine. I really don't take the time to make new reports but I do see the need to change somethings. Pros: I have used church windows about 22 years. It self explanatory and everything you need for church booking is there. Reports are easy to print up for committees. Support is always there when kn you need them. It also has a easy way to browse entries it you need to check on previous invoices and payments. Payroll is also very easy to use. Sections and you also have to remember to go back and transfer again. Overall: We use the payroll and does everything you need wed including figuring out the 941. We post our donations, and do all our other booking keeping, and we produce all our reports for meeting. Excellent product, excellent customer service. Pros: This software has taken a difficult job and made it easy. I have Membership, Donations, Accounting & Payroll modules. They interact smoothly. Popups guide you at different crucial steps. Reports are easy to compose for different needs. In Donations, accounts can be set up for transfer to matching accounts in the Accounting module. Payroll is very easy to use. Once the employee's data has been set, it is simple to calculate a payroll. The module does all the work and the Popups are the to guide. It prints off tax forms needed. It's dependable and if I ever have a problem, Customer Service will return my call within a few hours with knowledgeable staff to resolve my issue. Cons: My only difficulty has been with Membership, but I attribute that to lack of use on my part. They have a tutorial I need to watch which would solve that. Overall: The previous Treasurer was using Excel which I felt was inadequate. I was in search of a computer program to replace Excel and found Church Windows online. It has made this job enjoyable. Pros: This software makes paying bills and posting donations a breeze. You fill in the blanks, it does the rest. It guides you through the setup process, and then keeps all of your information stored and ready to print reports at the touch of a mouse. I've looked at several other "competitors" and even tried a few of them, but they can't compete with Church Windows ! Cons: There isn't anything that I dislike about Church Windows. Great product. Overall: I've used Church Windows for years, and it's the best. If I have a problem, or just a question, they always have the answers for me. When my computer crashed, they helped me with the files I needed to get back up and running. I couldn't ask for better software or tech support. Pros: I like the features of Church Windows but the fact that the donations and accounting are integrated make it difficult to utilize on a weekly basis. Cons: We are currently using a spread sheet program to record donations and are using Money Counts for our accounting system. The membership and donations modules were fairly easy to implement but the accounting system is more difficult. We have spent two years implementing the accounting system and are not finished. Overall: I would not recommend this system for someone who is not knowledgeable in terms of accounting systems. The biggest issue, in my mind, is the way the donation module has to tie into the accounting system. In other words the total donations for a week must be exactly what is deposited in the bank. This my be great from an audit perspective, but it makes for difficulty on a weekly basis. The support is excellent and the Church Windows staff patiently answer my questions. Pros: The modular approach to managing members, donations, and treasurer functions. Underlying database is easy to use and provides integrated approach to managing church business. We where manually managing all information in a small church. 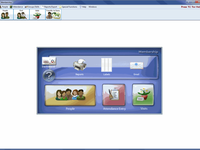 This software uses a workflow approach of creating records for church members, tracking information to include output for labels and mailing. Donations uses the membership records to build profile on all pledges and contributions to the church. Dozens of categories can be created. The accouting module gave us our first balance sheet with recurring treasurer reports showing all assets and expenses, to include year to date and comparison of last year. Overall, the strenghts are unlimited and Church Windows enabled us to automated our business processes and raise the transparency of our finances. Cons: No support for VPN that we understand. Thus, the software runs on a single laptop. We got around this by backing up to the cloud, then restore to another laptop as the software does support multiple installations. Overall: Member management, all revenue and expense oversight. George,,Thank you for taking the time out of your day to submit a review of Church Windows Software. Pros: Flexibility. Suitability to my needs. Ease of entry. Friendliness of support staff. Pros: We have used this program for 15+ years and it has improved over the year and made doing daily bill paying, membership, payroll, etc. so easy. Updates are done regularly and easy to install and maintain. Cons: Some of the updates made some features a little more difficult to maneuver. We are a small church and some of the extra components did not directly affect our use, but made some of our more simple tasks a little harder, i.e. some of the queries being built from scratch, and the directory building was confusing. I think a basic template could have been set up and churches could add to it rather than having to build the entire thing from scratch. Pros: I have now worked with Church Windows for 18 years. I also brought Church Windows to another church to replace their outdated financial and membership data. I love that it is constantly improved and updated. I love the ease of use. I love how all modules are integrated and that payroll is also integrated. Cons: There is nothing I can say about Church Windows that I find to be a con. There are no cons. Overall: My experience with the system has been a very good one. My experience with technical support has been excellent. I would recommend this to any church and in fact I have done just that by recommending Church Windows to a church in our town who now uses the system. Fund accounting is the way to go for a church. Pros: There are features that I am really learning to enjoy: things like how the family is set up and the points of data for each individual person. Having a tab for "make family inactive" is useful, as well as being able to hit that again when the family returns to church. There are many reports with valuable information and the church directory is especially detailed. Cons: Creating a unique template for a giving statement has been tricky, as well as finding where it is for the next time I need it. Entering contributions has been a learning curve when we upgraded Church Windows. Overall: I'm able to enter data and keep track of individuals, attendance, and events.